There are evidence-based tools for staying sharp throughout the lifespan. The World Health Organization estimates that the number of individuals age 65 or more will increase from approximately 12% currently, to 22% in 2050.1 It is estimated that at least 20% of older adults experience declines in cognitive skills that affect their abilities to complete daily living skills independently.2 Given this trend, a growing area of research in recent years has been to identify methods for maintaining cognitive functioning, as well as to better understand structural and functional properties of the brain during aging (Figure 1).2,3 This review highlights general findings regarding the most researched therapies that involve cognitive therapy/remediation (ie, “brain training”), the importance of cardiovascular fitness in the maintenance of thinking skills, and the influence of dietary factors on cognition. Figure 1: Cumulative annual rates of increase in research publications by topic. 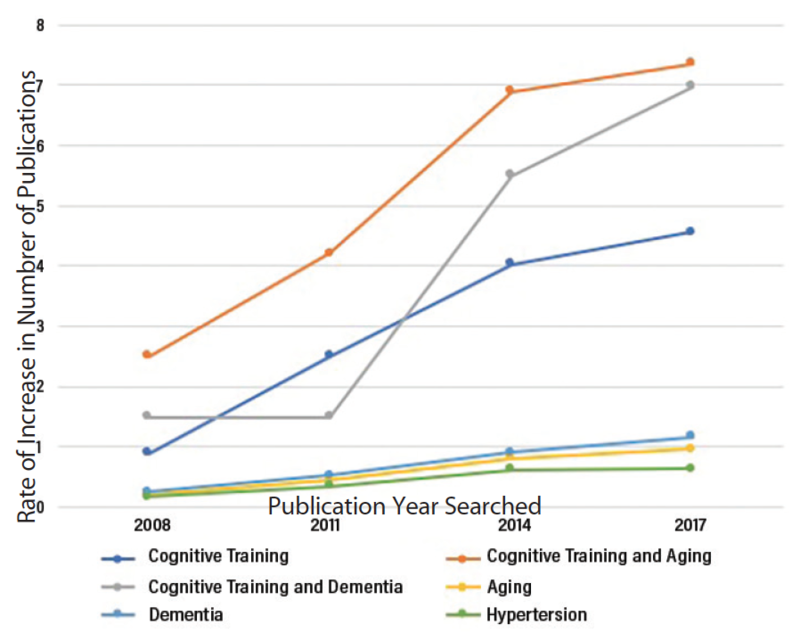 The rates of increase in articles published on “cognitive training” and “aging” (orange) and on “cognitive training” and “dementia” (grey) increased most rapidly over the last 10 years. The rate of increase for articles on “cognitive training” (light blue) also increased more rapidly than “dementia (dark blue),” “aging” (yellow), or “hypertension” (green), which each increased from 1% to 37% for each 3-year period. Method. A Boolean search using exact terms “cognitive training,” “aging,” and “dementia” alone or in combination was conducted; “hypertension” was also searched to serve as a comparative measure of the overall increase in published medical articles. The rates of increase for each 3-year period were summed and plotted. There is limited evidence to support that commercially available cognitive-training programs result in real-world improvements in everyday functional cognitive abilities. Instead, there is stronger empirical support for the benefit of cardiovascular fitness on the maintenance of cognitive skills and brain functioning in the context of aging. Further, dietary patterns such as the Mediterranean diet have been identified as another well-supported strategy for maintaining cognitive abilities and the functional and structural properties of the brain during older adulthood. The final section of this review contains practical recommendations for both patients and physicians. The vast majority of older adults will experience a vascular and/or psychologic risk factor during their lives, and individuals who have more of these factors are at an increased risk for structural and functional changes to the brain during the aging process.6,7,10 Older adults with a greater number of these factors are at an increased risk for cognitive and functional decline. Figure 2. Research-based tools for promoting cognitive health during aging. There is little evidence that cognitive-training programs have benefit (A). There is tentative evidence that social support networks and learning a new skill can be beneficial in protecting cognitive health (B). There is strong evidence that exercise and a healthy diet help maintain thinking and memory (C). Another limitation of cognitive-training studies is that they have failed to investigate whether these programs result in sustainable cognitive changes over time.11 Given that working memory (ie, the ability to mentally manipulate information) underlies higher-order cognitive skills, including initial learning and memory retrieval, methods for expanding working memory capacity have been a considerable focus of these training programs.12,13 A meta-analysis showed that prior studies have demonstrated that domain-specific training may improve working-memory capacity on a short-term basis.14 There has been a paucity of prior investigations into the maintenance of these cognitive changes over time, however. There is also limited evidence to support that any benefits from cognitive-training programs will transfer into more meaningful activities of daily living in older adults.12-14 Prior studies have found that there are greater transfer effects among younger, healthy subjects. There has been limited generalizability of laboratory findings to closely related functional activities in older adults, with 1 study concluding, “transfer effects are small, or nonexistent, in old age.”13 Although the potential benefits of cognitive-training programs remain unclear in general, they may be particularly less useful in older adult populations. The efficacy of cognitive-training programs to improve real-world, everyday use of cognitive skills is unclear. 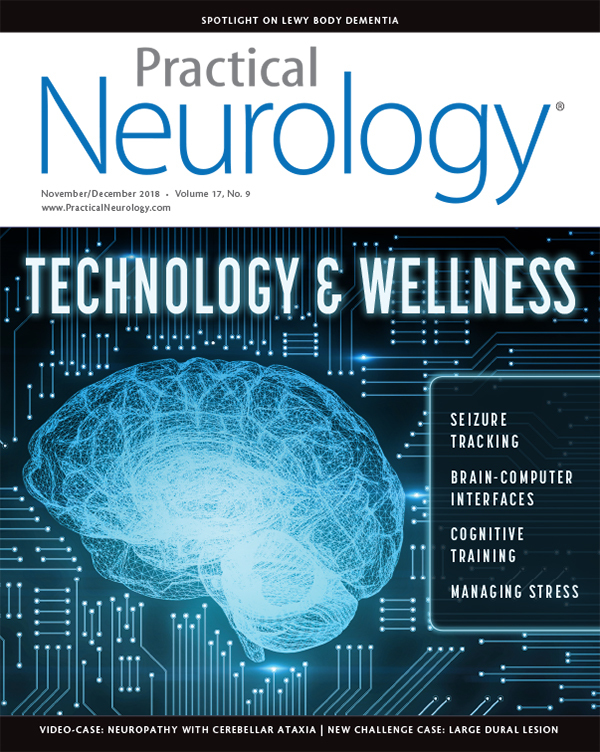 The degree to which implementation of cognitive-training programs can influence neuroanatomic and neurophysiologic changes also is unclear. For example, individuals who completed working-memory training had increased activity in prefrontal brain regions and increased connectivity between the prefrontal and parietal cortices.15 In contrast, in a randomized controlled trial of young adults to determine whether executive functioning training affected decision-making abilities, there were no significant differences in neural activity during decision-making tasks in subjects who did or did not have executive-functioning training.11 Overall, what little research does exist reveals inconsistent findings of whether cognitive-training programs result in structural or functional changes in the brain. In summary, there has been limited but intriguing research suggesting that specific cognitive skills may improve with training. However, much of the evidence supporting the benefits of these programs cite an individual’s improvement on the tasks employed in the program itself. Because the goal is not to perform better on cognitive-training exercises, but to have the exercises result in real-world improvements in memory and other thinking skills, and current research does not strongly support the use of these tools as part of a healthy cognitive aging program.13 The evidence does not support a generalizable effect of these training programs on overall cognition. Moreover, commercially available cognitive-training programs can be expensive, whereas the less expensive and readily accessible activities reviewed below are likely to have similar or greater benefits. In older adults, studies have consistently demonstrated that exercise may produce structural and functional changes in the brain. Specifically, older adults with higher levels of cardiovascular fitness were less likely to have gray and white matter loss in prefrontal, frontal, and temporal brain areas. Studies using fMRI show that better respiratory fitness is associated with greater activation in brain regions associated with attentional control. Aging adults who engaged in a regular aerobic exercise regimen for a 12-month period demonstrated increased connectivity in frontal regions.17 There are numerous benefits of regular physical exercise, including improved physical, cognitive, and neuroanatomical functioning. Recent studies have also investigated the role of nutrient biomarkers in long-term cognitive outcomes.Individuals with a pattern of lower levels of vitamin D, carotenoids, and unsaturated fats, along with higher levels of saturated fat, were more likely to be diagnosed with dementia within 12 years.22 Developing a better understanding of nutrient biomarkers is likely to be a growing field of research. The relationship between social support and cognitive functioning during older adulthood is less understood. Prior studies have found that greater social activity is associated with higher levels of general cognitive functioning, executive functioning, working memory, visuospatial abilities, and processing speed. The mechanism underlying this finding is unclear, however, and is possibly freighted with the tautologies to which clinical research is vulnerable, (ie, individuals who experience cognitive decline may be less apt to engage in social activities, partly because of awareness of decline and consequent embarrassment, and individuals who are more cognitively intact may exhibit higher levels of social engagement).23 At present, the notion of social support as a protective factor for maintaining cognitive functioning is an area in need of additional research. Considering the rising number of older adults worldwide, an extensive focus of research in recent years has been on identifying mechanisms for maintaining cognitive and neuroanatomical functioning within the context of aging.1,2 As reviewed here, there is evidence for several positive interventions (Checklist). Although research for cognitive-training programs has revealed promising findings at improving cognitive functioning on the activity for which the program is designed, there is little evidence that benefits from these programs transfer into more useful daily activities and thereby have a preventive effect on the cognitive deficits associated with aging. Instead, there is stronger support for the role of cardiovascular exercise and dietary patterns such as the Mediterranean diet on improving cognitive and neuroanatomical functioning during the aging process. 1. World Health Organization Fact Sheet, February 5, 2018. http://www.who.int/news-room/fact-sheets/detail/ageing-and-health. 2. Joubert C, Chainay H. Aging brain: the effect of combined cognitive and physical training on cognition as compared to cognitive and physical training alone- a systematic review. Clin Intervent Aging. 2018;13:1267-1301. 3. Williams K, Kemper S. Exploring interventions to reduce cognitive decline in aging. J Psychosoc Nurs Ment Health Serv. 2010;48:42-51. 4. Arwert LI, Deijen JB, Drent ML. The relation between insulin-like growth factor I levels and cognition in healthy elderly: a meta-analysis. Growth Horm IGF Res. 2005;15:416-422. 5. Grady C. The cognitive neuroscience of ageing. Nature. 2012;13:491-505. 6. Snyder HM, Corriveau RA, Craft S, et al. Vascular contributions to cognitive impairment and dementia including Alzheimer’s disease. Alz Dement. 2015;11:710-717. 7. Enzinger C, Fazekas F, Matthews PM, et al. 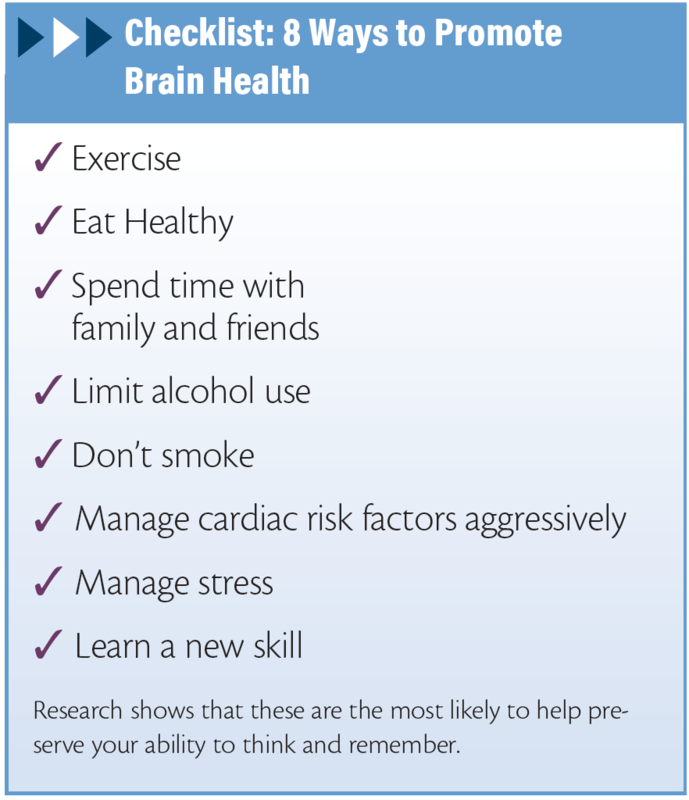 Risk factors for progression of brain atrophy in aging: six-year follow-up of normal subjects. Neurology. 2005;64:1704-1711. 8. Fuhrmann D, Nesbitt D, Shafto M, et al. Strong and specific associations between cardiovascular risk factors and brain white matter micro- and macro-structure in healthy aging. Neurobiol Aging. 2018;74:46-55. 9. Sinforiani E, Zucchella C, Pasotti C, et al. The effects of alcohol on cognition in the elderly: from protection to neurodegeneration. Funct Neurol. 2011;26:103-106. 10. Trotman GP, Gianaros PJ, Veldhuijzen van Zanten JJCS, et al. Increased stressor-evoked cardiovascular reactivity is associated with reduced amygdala and hippocampus volume. Psychophysiol. 2018; Aug 22:e13277. 11. Kable JW, Caulfield MK, Falcone M, et al. No effect of commercial cognitive training on brain activity, choice behavior, or cognitive performance. J Neurosci. 2017;37:7390-7402. 12. Boot WR, Kramer A. The brain-games conundrum: does cognitive training really sharpen the mind? Cerebrum. 2014;15:1-10. 13. Morrison AB, Chein, JM. Does working memory training work? The promise and challenges of enhancing cognition by training working memory. Psychonom Bull Rev. 2011;18:46-60. 14. Kilmova B. Computer-based cognitive training in aging. Front Aging Neurosci. 2016;8. 15. Constantinidis C, Klingberg T. The neuroscience of working memory capacity and training. Nature. 2016;17:438-449. 16. Liu-Ambrose T, Donaldson MG. Exercise and cognition in older adults: Is there a role for resistance training programmes? Br J Sports Med. 2009;43:25-27. 17. Bherer L, Erickson KI, Liu-Ambrose T. A review of the effects of physical activity and exercise on cognitive and brain functions in older adults. J Aging Res. 2013:1-8. 18. Knight A, Bryan J, Murphy K. Is the Mediterranean diet a feasible approach to preserving cognitive function and reducing risk of dementia for older adults in Western countries? New insights and future directions. Aging Res Rev. 2016;25:85-101. 19. Valls-Pedret C, Sala-Vila A, Serra-Mir M, et al. Mediterranean diet and age-related cognitive decline: a randomized clinical trial. JAMA Int Med. 2015;175:1094-1103. 20. Morris MC, Tangney CC, Wang Y, et al. MIND diet slows cognitive decline with aging. Alz Dement. 2015;11:1015-1022. 21. Pelletier A, Barul C, Feart C, et al. Mediterranean diet and preserved brain structural connectivity in older subjects. Alz Dement. 2015;11:1023-1031. 22. Amadieu C, Lefevre-Arbogast S, Delcourt C, et al. Nutrient biomarker patterns and long-term risk of dementia in older adults. Alz Dement. 2017;13:1125-1132. 23. Kelly ME, Duff H, Kelly S, et al. 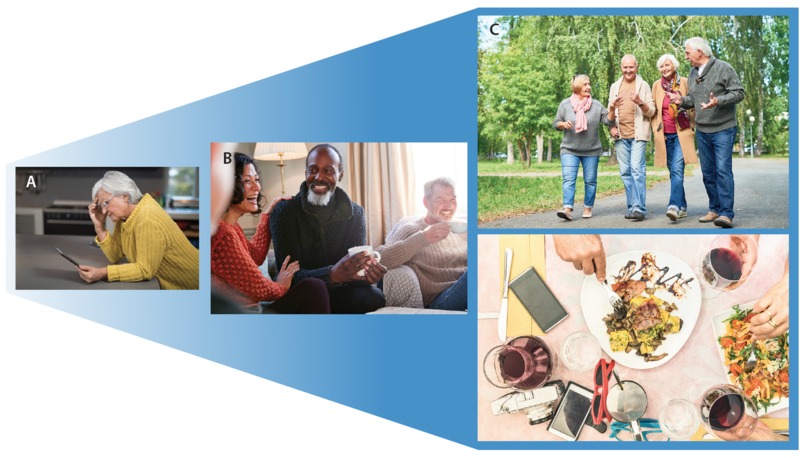 The impact of social activities, social networks, social support and social relationships on cognitive functioning of healthy older adults: a systematic review. Syst Rev. 2017;6:1-18. 24. Klimova, B. Learning a foreign language: a review on recent findings about its effect on enhancement of cognitive functions among healthy older individuals. Front Hum Neurosci. 2018;12:305. The authors have no financial or other relationships related to this content to disclose. Seizure detection and alerting devices hold promise for preventing sudden death in epilepsy. Investigation of antibody titers is essential for patients who have neuropathy with cerebellar ataxia and do not respond to IVIG treatment. Research on the interaction between hormones and seizures supports the importance of helping patients manage stress.